The Co-operative Cambridge Folk Festival's prestigious reputation for quality music in intimate surroundings means tickets always sell out very quickly. The music is much more than traditional folk.  The festival will be taking place from Thursday 29th July until Sunday 1st August. The line-up includes Kris Kristofferson, Natalie Merchant, Seasick Steve, Pink Martini, The Imagined Village, The Ukulele Orchestra Of Great Britain, Seth Lakeman, Sharon Shannon & Imelda May, Rokia Traore, Show of Hands, The Unusual Suspects, Kathy Mattea, The Unthanks, Salsa Celtica, Dervish, Julie Fowlis, and many more. For the line-up details as available please click here. Tickets are priced at £108 for a full adult festival pass (not including camping), day tickets will be priced as follows - Friday £37; Saturday £48 (SOLD OUT); and Sunday £48. Camping will be available for full festival ticket holders only, priced at £34 per 2-3 berth tent. To buy tickets, click here. The Co-operative Cambridge Folk Festival encourages festival goers to think about the environment with the 'Reward my Ride' campaign. The campaign will encourage everyone to get to the festival in the greenest way possible, whether by public transport, lift sharing or roller skates! Since one of the highest pollutants at any festival is the barrage of vehicles that bring punters to the site, festival attendees are being encouraged to bike, bus, train, walk, sail, punt or space hop to the event, and send the photos to www.co-operative.co.uk/cambridge-folk-festival. Once registered, the best will win a bike so they can carry on keeping their pollution down.